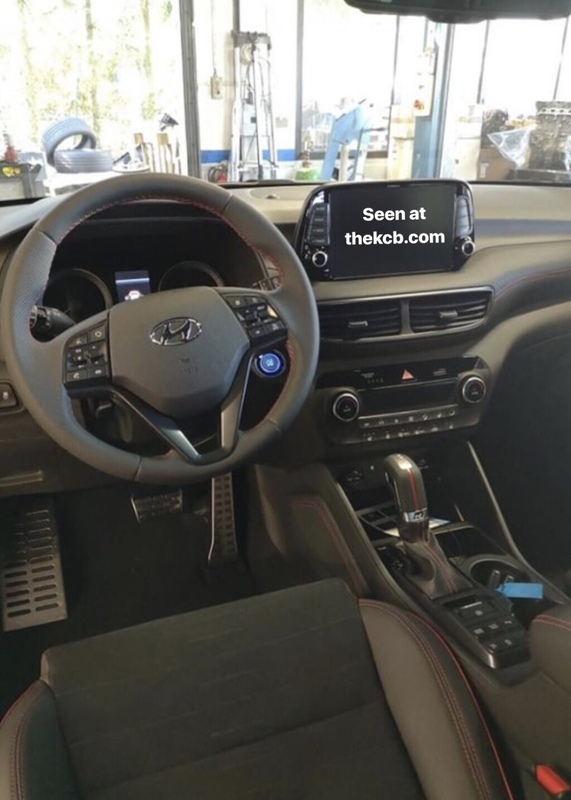 After yesterday we have seen the first leaked photos of Hyundai new Tucson SUV N-Line variant that were teased ahead Geneva Motor Show, we today we have a new set of pictures courtesy of @schluri including a sneak peak of the interior. 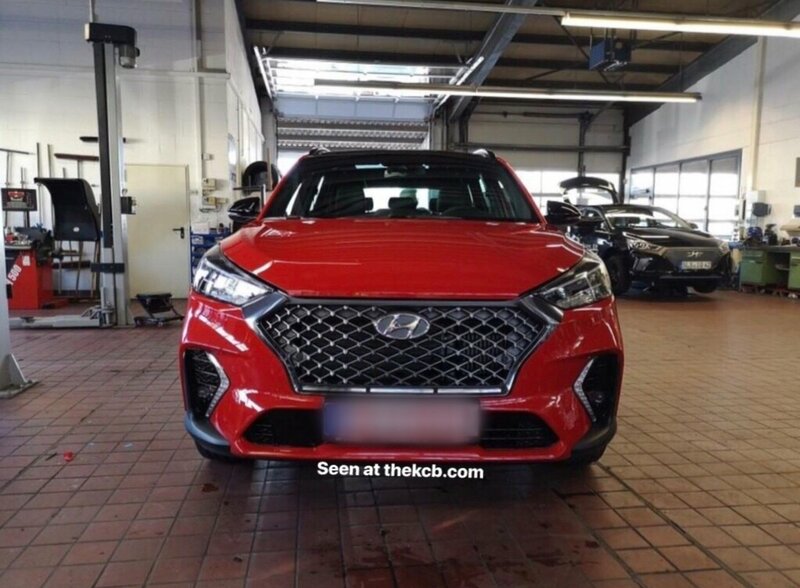 Today and thanks to the tip of this Instagram user who shared with us this pictures, we have seen this red Tucson N-Line spotted inside of a Hyundai dealer garage somewhere in Germany. According to Hyundai, European customers will also soon be able to choose a dynamic new specification with motorsport-influenced details inside and out. 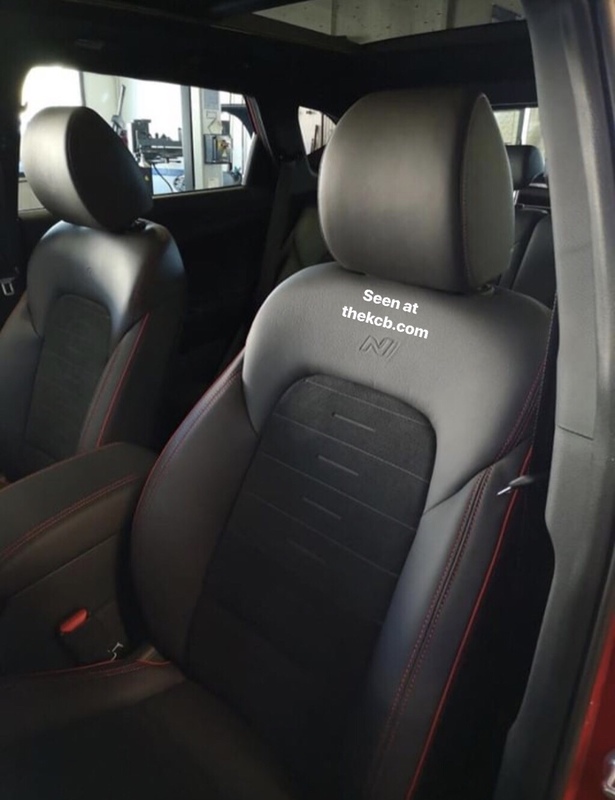 While the exterior offers aggressive look, the interior has a new sporty seats, with alcantara and red stripes. Also a part of the dashboard looks covered by synthetic leather and red sewings. It’s still not confirmed with which range of engines will be offered, but for example the i30 N-Line is available will all the petrol and diesel engines. 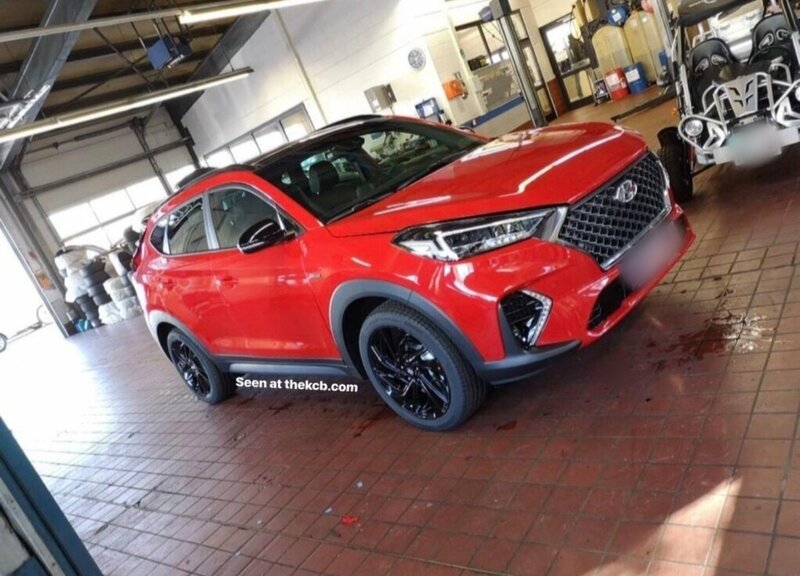 The new offering – the first Hyundai SUV with this performance treatment – is just the start of much more to come from the brand. More details will be released in the near future.